Democratic presidential Julián Castro sought Tuesday to lay down an early marker on immigration, releasing an extensive plan to address an issue that is sure to remain front and center through November 2020. 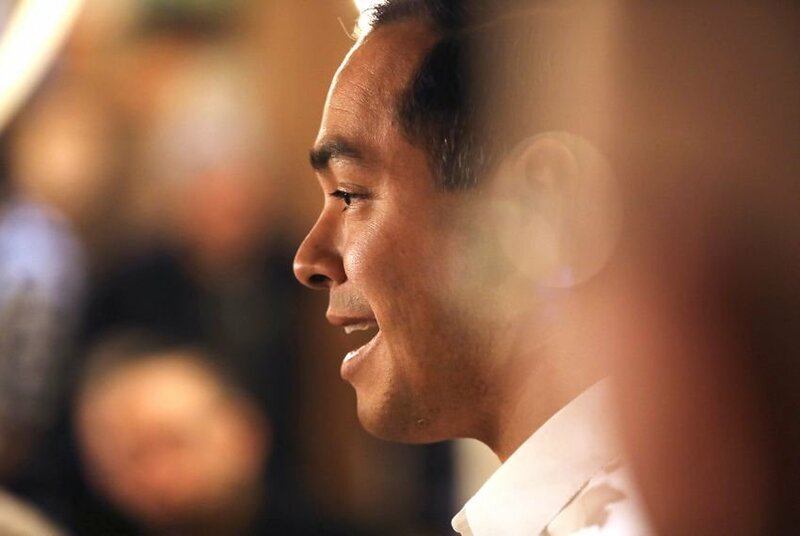 Castro's People First Immigration Policy, which comes 10 months before the first votes are cast in the 2020 primary, offers a few ideas that are commonplace among Democratic candidates, like reversing President Donald Trump's travel ban and providing a pathway to citizenship for people in the country illegally. But in many other areas, the proposal goes much farther than other contenders have gone, thrilling advocates who have been waiting to see which White House hopeful would be first out of the gate with such a detailed proposal. "They've all done riffs at rallies, but this is the first serious, thoughtful and thorough proposal," said Frank Sharry, director of the liberal immigration group America's Voice. "He got his wonk on, and wonks appreciate it." The plan comes as Castro, the only Latino presidential candidate, works to find a voice in the 2020 primary, where he hardly registers in polls two and a half months into his candidacy. And specifically on immigration, he is vying for attention with fellow Texas Democrat Beto O'Rourke, the El Pasoan who has made the border central to his three-week-old 2020 campaign. Castro's proposal is highlighted by a call to decriminalize illegal border crossings — which he would do by repealing a provision of U.S. law that makes it a criminal, instead of civil, offense to unlawfully enter the country. The provision, Section 1325 of the Immigration and Nationality Act, has been a key factor in the Trump administration's "zero tolerance" approach that led to family separation at the border last year. "The truth is, immigrants seeking refuge in our country aren’t a threat to national security," Castro wrote in a Medium post outlining the plan. "Migration shouldn’t be a criminal justice issue. It’s time to end this draconian policy and return to treating immigration as a civil — not a criminal — issue." Castro's decriminalization pitch stood out to some advocates who said it signaled a new direction for the immigration debate. "I've been working on immigration for many years, and this is a very different conversation than we were having in 2016," said Zenén Jaimes Pérez, a spokesman for the Texas Civil Rights Project, a legal advocacy group. "I think for many years, we've taken it as something to prosecute and something to criminalize, and that has had a disastrous effect on our communities." In addition to making illegal border crossings a civil offense, Castro's plan lays out a number of ideas that have not yet entered the 2020 primary mainstream. He wants to end so-called "287(g)" agreements that allow local law enforcement to perform immigration duties after undergoing training. He also wants to eliminate three- and 10-year bans, which prohibit undocumented immigrants from re-entering the United States for certain periods of time after they are deported. In more familiar territory, Castro's plan tackles the recent movement to abolish Immigration and Customs Enforcement, the agency in charge of enforcing immigration laws. As the idea has gained traction on the left, Castro has called for overhauling the agency, and his plan explains how he would do that — by splitting ICE in half and moving the responsibilities of Enforcement and Removal Operations, which deports immigrants, to other agencies, such as the Justice Department. To be sure, the plan features some ideas that Castro has already been trumpeting on the campaign trail, such as creating a "Marshall Plan" to address root causes of migration from Central American counties. His new policy calls for greater diplomacy with the region and economic development that enables people in those countries to "build a life in their communities rather than make a dangerous journey leaving their homes." "My one thing I took away [from Castro's policy] was the Marshall Plan, especially in light of what the White House is doing and saying we are cutting off aid to the Northern Triangle," said Victoria DeFrancesco Soto, a lecturer who specializes in politics and immigration at the University of Texas at Austin. "This Marshall Plan isn't just like giving people money for the heck of it — it's about advancing our strategic interest." Of course, Castro is not the only 2020 candidate to focus on Central America in laying out an immigration platform, with O'Rourke recently calling for making the region a "top foreign policy priority." He said so in a 10-point immigration plan he released earlier this year while mulling a White House bid, a list largely made up of things he pitched while stumping for U.S. Senate last year. Both Texans are looking to own the issue. O'Rourke held a counter-rally in February when Trump came to El Paso to make his case for a border wall, and on Saturday, O'Rourke formally launched his campaign just blocks from the border in downtown El Paso. Castro is using his first California rally on Saturday to promote his new immigration policy, and he will be back in Texas on Wednesday to lead a counter-rally when Trump visits his San Antonio hometown to fundraise. Republicans are taking notice, and the national party issued a statement Tuesday afternoon grouping both Texans together as wanting to decriminalize illegal border crossings. However, O'Rourke has not called for that and Senate campaign even denied it following a 2018 Cruz ad that made a similar accusation. "The crisis at our southern border does not need to be amplified with their dangerous policies that would increase human trafficking and drug smuggling, and weaken our border security," RNC spokeswoman Christiana Purves said in a statement.